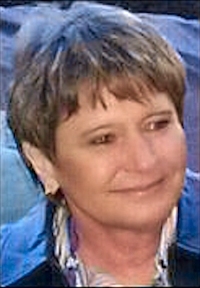 Obituary – Klein, Darlene Rae (Feken) « Perry High School Alumni Association, Inc.
Darlene Rae Klein, 61, of Perry, Oklahoma, was the daughter of Edward John and Laura Pearl Gray Feken. She was born on July 18, 1948 in Enid, Oklahoma and died Tuesday, September 29, 2009 at the Bass Specialty Hospital in Enid, Oklahoma. Darlene married William M. Klein on October 3, 1980 in Tulsa, Oklahoma. She was a graduate of Northern Oklahoma College in Tonkawa, Oklahoma. Darlene had the honor of being the first police woman in both Perry and Blackwell, Oklahoma. She worked at the Oklahoma Department of Transportation for over twenty-five years before retiring in June 2007. Klein’s Catering Service began in 1995 as Darlene’s idea, they will celebrate 15 years in business next year. Funeral services will be 10:00 a.m. Friday, October 2, 2009 at the First Christian Church in Perry. Rev. Martin Foster will officiate. Interment will be in St. Rose of Lima Catholic Cemetery in Perry, Oklahoma. Services are under the direction of Brown-Dugger Funeral Home. Memorials may be made to the American Diabetes Association or the First Christian Church in care of Brown-Dugger Funeral Home, 1010 N. 7th Street, Perry, Oklahoma 73077. Vanessa Lynn Criswell, all of Perry, Oklahoma, Ryan Skye Martinez, Shalayna Briana Hope Martinez and Amelia Gabriella Martinez, all of Enid, Oklahoma; five great-grandchildren, Brylan Benjamin Rothermel, Bradyn John Rothermel and Braxtyn Ray Rothermel, all of Cheyenne, Wyoming and Tristan Alexander Keith and Samual Dean Keith, both of Perry, Oklahoma; two brothers, Eddie Feken of Perry, Oklahoma and Freddie Feken of Tulsa, Oklahoma and special family friend, Lee Madden of Perry, Oklahoma. She was preceded in death by her parents, Ed and Laura Feken and two brothers, Ben Feken and Frank Feken.